Sole R92 Recumbent Exercise Bike is providing a great workout with comfortability and relaxation. It has many amazing features like 2 degree inward design on our foot pedals, padded, adjustable seat, integrated 9" LCD display , heart rate control, Fans and MP3/IPOD capability. ToughTrain 3.5 out of 5 Perfect machine, have average features, worthy buy at this price. *Note: Most of the sites, stores or shopping portals listed above sell Sole R92 Recumbent Exercise Bike with discounts and other exciting offers. 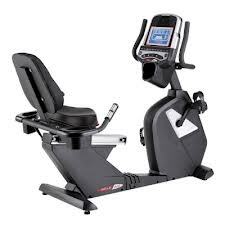 There is a possibility that the some of above websites are not selling Sole R92 Recumbent Exercise Bike now. Toughtrain.com is not liable for such cases or instances. Also we do not recommend any seller for Sole R92 Recumbent Exercise Bike and a buyer should buy from where he/she gets best deal with quality of products, service and on time delivery (shipment).